The Kenneth Burke Society, founded in 1984, is a non-profit organization incorporated in the State of New York since 1988. The Society has hundreds of members from a variety of academic disciplines, including English, Speech Communication, Sociology, Economics, Philosophy, Mass Communication, Religion, and Rhetoric. The Society sponsors the KB Journal, a triennial conference, affiliated groups in national and regional organizations, and more. Membership in the KB Society is open to any person or institution interested in promoting the Society's purposes. Please note that acceptance notifications went out March 14, 2014. If you haven't heard from us, please email the conference organizers right away. Conference Keynotes: Jodie Nicotra will present "Compulsion and 'Transcendence Sideways': Burke’s Technological Attitudes," and Thomas Rickert will present "Making Hope Out of Nothing at All: Amechania in Burke, Nietzsche, and Parmenides." Both talks engage the conference theme of Attitudes Toward Technology/Technology’s Attitudes. Find abstracts here. Conference Seminars: For a complete list (and descriptions) of seminars click here. Attitude mediates action and motion. Attitude is incipient action. Media have attitudes. Media are incipient. We act through media and media act through us. This dance of attitudes, both human and nonhuman, shapes action. Action is always in media res. 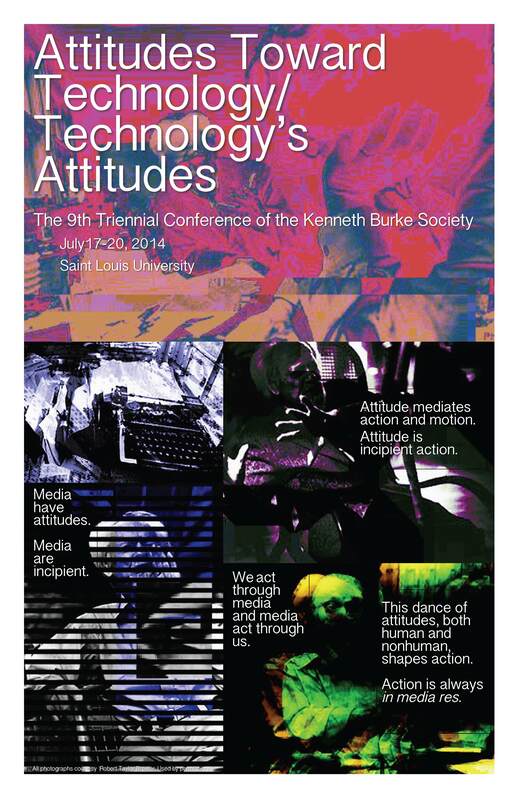 Taking both Burke’s attitude and his rhetorical philosophy of technology as points of departure, The Ninth Triennial Conference of the Kenneth Burke Society welcomes proposals that focus on attitudes toward technology and technology’s own attitudes. We also welcome proposals that focus on any Burkean subject. The conference will be hosted by Saint Louis University in historic Midtown, home of the Grand Center, the place for the arts in St. Louis, from July 17-20, 2014. Saint Louis University is also home to the Walter J. Ong, SJ, Center for Language, Media and Culture as well as the Ong Archives. In the middle of the country, in the middle of the city, we will grapple with being in media res. In a retrospective to Attitudes Toward History, Burke defines attitude as “the point of personal mediation between the realms of nonsymbolic motion and symbolic action” (394). For Burke, these realms are tightly knitted, and as Debra Hawhee reminds us, we should see them as “an irreducible pair, contiguous but distinct” (Moving Bodies 158). Stuff and story dance in attitudes. The Kenneth Burke Society conference welcomes not only those who are particularly invested in Burke but also those who ask the same sorts of questions, explore similar avenues of scholarship, and see rhetoric as tightly knit to symbols, bodies, and environments. We are building a big tent in St. Louis. The Ninth Triennial Conference will feature participation by students and scholars from a wide range of fields, and we welcome proposals that address topics of continuing relevance in Burke studies, including Burke and his circles; archival research in the Burkean corpus; the meaning and relevance of particular Burkean texts; Burke in the fields; the future of Burkean studies; and new applications of Burke’s insights to contemporary issues. We especially encourage those proposals that focus on attitude and technology: the range of conceivable connections and potential points of departure is limitless. In what ways can we revisit, challenge, or augment Burke’s work in light of contemporary, digital technology? In what ways has Burke’s work (in particular, his notion of “technological psychosis”) been prescient of contemporary popular treatments of technology (What Technology Wants, Alone Together, The Shallows, You Are Not a Gadget)? How might Burke’s thought anticipate or inform rhetorical theory and related areas as it rethinks the place of the material and of objects in rhetorical activity? Recall Burke’s discussion of air conditioners in “(Nonsymbolic) Motion/(Symbolic) Action”: “Such bodily responses as increased warmth and accelerated respiration place a greater burden upon the air conditioning device, which is equipped with mechanical ‘sensors’ that register the change in conditions and ‘behave’ accordingly” (834). How might Burke’s interest in the body inform discussions of race and gender in digitally mediated environments? Likewise, how might contemporary scholarship in these areas inform Burke (challenge, discount, or otherwise augment him)? How does Burke’s focus on the nonsymbolic resonate with new materialist and feminist new materialist approaches (e.g. Jane Bennett, Karan Barad)? How do the above questions expand Burke’s circles? How can we use such questions to bring new thinkers into the Burkean parlor? Over the course of the conference, a combination of keynote speakers, featured presenters, and seminar leaders will explore our attitudes toward technology and technology’s own attitudes. Keynote speakers, seminars, and seminar leaders will be announced in January 2014. We invite individual presentations, panels, and seminar topics exploring the above sets of concerns. Proposals should be submitted via email to kbsconference2014@gmail.com. The submission window runs from October 1, 2013, through February 14, 2014. All proposals are due by 11:59 p.m. on February 14, 2014. Proposals for individual presentations should be 250-350 words in length. Proposals for panels or other formats may be up to 500 words in length. Acceptances will be announced by March 14, 2014. Attendees may register for the conference online starting March 17, 2014. As with past conferences, affordable registration fees will include all meals and special events. Further details will be published on the conference website from now until the conference. 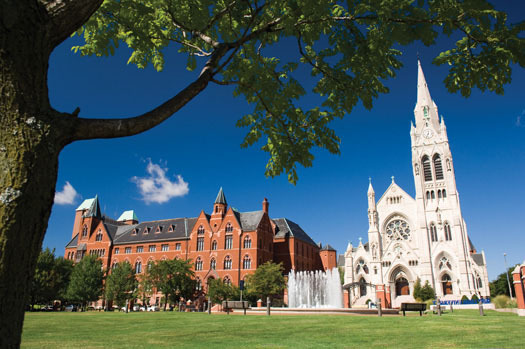 Saint Louis University is located in St. Louis, MO. The Busch Student Center is located in bustling Midtown St. Louis. For a list of dinning options in and around campus click here. On-campus lodging is available at the recently built Hotel Ignacio, the Water Tower Inn, and in the recently renovated Marchetti Tower West. The conference chairs are Paul Lynch (plynch11@slu.edu) and Nathaniel Rivers (nrivers1@slu.edu). The conference is sponsored by Saint Louis University, the Walter J. Ong, SJ, Center for Language, Media and Culture, and the Kenneth Burke Society. 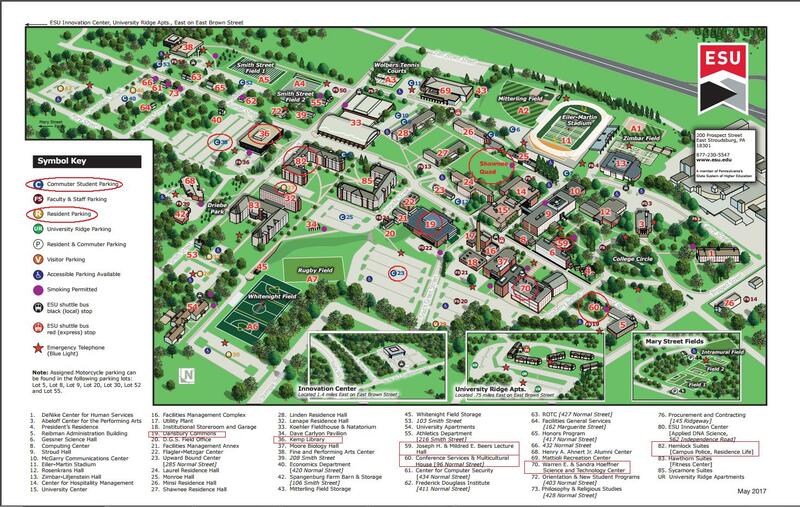 There are multiple ways to get from the airport to the conference site/residence hall. St. Louis Metrolink will take you to the Grand Avenue stop, which is about about half a mile south of Marchetti Towers (3530 Laclete) and the Busch Student Center (20 N. Grand), and about a mile north of the Water Tower Inn (3545 Lafayette). If you prefer to take a bus from the Grand Stop to either location, you can take the 70. The Metro Link Trip Planner can be found here. If you prefer an airport shuttle, here is GO Best Express. A cab from Lambert to the SLU campus will run approximately $38.00. We are please to announce the keynote speakers for the Ninth Triennial Conference of the Kenneth Burke Society. Jodie Nicotra will present "Compulsion and 'Transcendence Sideways': Burke’s Technological Attitudes," and Thomas Rickert will present "Making Hope Out of Nothing at All: Amechania in Burke, Nietzsche, and Parmenides." Both talks engage the conference theme of Attitudes Toward Technology/Technology’s Attitudes. Jodie Nicotra, University of Idaho. "Compulsion and 'Transcendence Sideways': Burke’s Technological Attitudes"
Burke makes no bones about his fear and loathing of the symbol-using, symbol-used animal’s “technological psychosis.” Unless remediated by symbolic action in the form of the comic frame and perspective by incongruity (something to which he arguably devoted his entire lengthy career), Burke believed, the pervasiveness of the technological attitude would, by the logic of entelechy , bring a bad end: in the form of an Earth made unlivable by contamination from technological processes or in nuclear destruction. While Burke argued that all things related to humans could be categorized as either symbolic action or nonsymbolic motion, it’s clear that technology presented an unusual and troublesome case, belonging comfortably to neither realm. As he wrote in one of his attempts to apply a comic corrective to the potential harms of the technological attitude, “the compulsiveness of man’s technologic genius, as compulsively implemented by the vast compulsions of our vast technologic grid, makes for a self-perpetuating cycle quite beyond our ability to adopt any major reforms in our way of doing things”(“Helhaven” 19). Here it’s clear that Burke sees technology as having its own sort of agency, one that might rival symbolic action; he would certainly have appreciated Donna Haraway’s observation that “Our machines are disturbingly lively, and we ourselves frighteningly inert” (Simians, Cyborgs, Women 152). This language of compulsion (which crops up frequently in reference to technology in his works) also aptly characterizes Burke’s own attitudes toward technology. In a different essay, he confesses that for years he had been “compulsively taking notes on the subject of technological pollution,” even as he loathed the notes and wanted to “get shut of the whole issue...But it goes on nagging me” (“Why Satire,” 312). Yet at points within Burke’s corpus appear signs of a different attitude toward technology, one characterized by an appreciation for the strange not-quite-agency of machines themselves that he himself wryly names “transcendence sideways” (ATH 381). Here, along with Burke’s published theoretical work, I read his poetry, fiction, and archival materials to flesh out this somewhat hidden attitude toward technology. Ultimately, I argue, the notion of “transcendence sideways” is an attitude appropriate for an era where the machines have become livelier than ever. Thomas Rickert, Purdue University. "Making Hope Out of Nothing at All: Amechania in Burke, Nietzsche, and Parmenides"
Nietzsche once remarked that despite centuries of belief in the basic idea that God is truth, and truth is divine, it may be that the divine is nothing but error, blindness, and the lie (GS 344). The stakes of this statement are as profound and timely now as ever, and not simply for the humanities. A recent article argues that the fundamental belief in science’s ability to deliver truth and self-correct may not be justified—that science, and technology alongside, is always at the mercy of other forces. ￼The basic thematic here is that nothing humans do or produce offers escape from our foibles and errors—we are fundamentally amechania, without metis. I explore this thematic in Nietzsche and Burke, in particular on the tragic and comic attitudinal frames that they offer as hope. I then offer a third attitudinal perspective, that of the ancient Greek thinker Parmenides, who also had a profoundly pessimistic view on human capability to achieve truth and the good life, and cultivated this attitude through his philosophical poem on being. For Parmenides, hope was predicated on the utter acceptance of our entrapment in illusion and the cultivation of a profound attitude of metis emerging from this acceptance. Parmenidean thought is timely because science is fostering doubts within in its own ranks as to the hopes and technological solutions it can offer, in part because science cannot offer the “remedy” for our emotional, moral nature it was long believed to provide. Lastly, Parmenides offers a revelatory frame that seeks the nonhuman divine within the human, a point that bears exploration in contrast to Nietzsche’s cultivation of new values and Burke’s “complete sophistication” allowing for new vocabularies. Each of the attitudinal stances bears on the issue of media, for the question of what initiates a change in praxis is inseparable from the question of the means to do so. We shall see that Parmenides demonstrates even more than Nietzsche and Burke an attendance to the performative dimension—predicated not on the hope to overcome human nature but rather on absolute acceptance of our utter helplessness, our amechania, that is, our lack of metis without appeal to revelatory aid. Kenneth Burke developed his entire symbol-use project throughout the 20th century when our theories of communication were out-paced only by our means of communication. However, even though KB was one of the most influential theorists of human communication in a time of so many advances in communication technology, there is an apparent dearth of audio or video footage of KB. Yet such a dearth is only “apparent” because there actually are many existing audio and visual recordings of KB lecturing, performing readings, or participating in discussions or interviews. Most KB scholars have not seen or heard much of this footage for two basic reasons: first, the existing footage is not centrally accessible or cataloged in any one place; second, such footage is often in a medium that prohibits broad distribution (as with various analog recording technologies). Coordinate efforts among KB enthusiasts to identify the current repositories of all existing audio and video recordings of KB. Assemble historical notes and details surrounding each recording. Catalog all these in one resource through the KB Journal. Work with individual repositories to digitally transfer all existing KB footage that is not already digitized. The first day of this seminar will provide an overview of some notable KB footage that has undergone partial or complete digital transfer. These include three projects that have received attention at previous KB conferences and one new project that is particularly apropos to this year’s KB Conference in St. Louis. This new project involves audio recordings of KB performing a reading and participating in an extended discussion (moderated by poet Howard Nemerov) while KB was the Visiting Hurst Professor at Washington University in St. Louis during the 1970-71 school year. The second day of this seminar will address the array of logistical challenges facing a Kenneth Burke Digital Archive Initiative and some strategies for addressing them. Also during this session, seminar participants will begin actively participating in the Kenneth Burke Digital Archive Initiative. We will meet in a computer lab, and seminar participants will begin a coordinated effort to find additional repositories of audio or video footage of KB. Working from a list of universities and schools KB visited, seminar participants will scour special collections databases and online library resources for hints of currently-not-in-print KB materials (text, audio, video, etc.) that are either not yet digitized or not yet on the Kenneth Burke Society radar—i.e. materials that might be candidates for digital archive work. On the final day of this seminar, participants will collect their findings and make plans for further online participation in the Kenneth Burke Digital Archive Initiative. It is well known in Burke circles that KB was vitally concerned with questions of “substance”—material vs. rhetorical, motion vs. motive, causality vs. free will—and the effects of scientism and determinism on our understanding of the human animal as a symbol using being. What Diana Coole and Samantha Frost in their anthology have labeled “New Materialisms” are emerging in the twenty-first century—but across the entire curricula, from computer engineering and life sciences, through social and political sciences, to posthuman philosophies and rhetorics. What all these movements may have in common might be simplified and called an ‘animated empiricism’ in which objects and artifacts, long neglected in “the situation,” are increasingly recognized as having their own, powerful agency (what Levi Bryant dubbed A Democracy of Objects). Can Burke’s discussion and analysis of “substance”— as dramatistically rather than mechanically motivated, as casuistic rather than universal categories, as the result of rhetorical deliberation and persuasion rather than mere fact and sheer force—help us grapple with and understand new materialisms? For instance, what might Burkean rhetoric reveal about the similarities, distinctions, and relations between objects as ‘actants’, and the symbolic of the human body? Between classical literacy and what Ulmer in Avatar Emergencies calls “flash reason”? Between “speculative realism” (Harman) and pentadic screens? How might Burke deal with the philosophies and sciences of new materialisms, e.g., informatics, cybernetics, actor-network theories, object oriented ontologies, digital and virtual realities, and other metaphysical empiricisms, as well as some of the physical products of new materialisms, e.g., radical (prosthetic/technological) enhancement, genetic modification, synthetic biology, nanotechnologies, and biosocial engineering (as eagerly anticipated by George Church and Ed Regis in Regenesis)? All of these questions have profound implications not only for philosophies and rhetorics of agency, but also for political and environmental sciences, as Vibrant Matter (Bennett) and Ecology without Nature (Morton) demonstrate; for gender, queer, and race studies; and for the rhetoric and ethics of our relations to each other, to our machines, to our avatars, and to “the Other.” In light of the new materialisms, what are our definitions of symbolic action, “community,” the “individual,” human consciousness itself? In this seminar, we will ecstatically together explore some of the questions and issues raised above by consulting and applying selected Burke scholarship (TBA) to a sampling of readings representing some of these new materialisms (to be distributed to seminar participants prior to the conference). Substance has been a central term in Burke’s theory of human symbol-using at least since A Grammar of Motives, where its paradoxical nature is connected to the problem of motives. This emphasis on substance continues in A Rhetoric of Motives, where consubstantiality is the aim of identification, making separate entities substantially “one.” And, less well known, Burke promised to consider substance and identity in A Symbolic of Motives (a version of which was published recently, so that commentary on it has scarcely begun). Marie Hochmuth Nichols called Burke’s analysis of substance and its connection to identification “his most basic contribution to the philosophy of rhetoric” (Marie Hochmuth, "Kenneth Burke and the 'New Rhetoric,'" Quarterly Journal of Speech 38.2 : 137). Weldon B. Durham, who published an essay in The Quarterly Journal of Speech in 1980 on Burke’s idea of substance, notes that “Burke appropriated a term in philosophical disrepute and spun out of it half a life’s work” (Weldon B. Durham, "Kenneth Burke's Concept of Substance," Quarterly Journal of Speech 66.4 : 354). Although most Burkeans have a working knowledge of Burke’s paradox of substance and of consubstantiality, there is much more to be scrutinized in this important concept. Which thinkers banished the term substance, particularly in Burke’s day, and why? Why do the functions of terms for substance persist, even if the terms for it are not used? Without terms for substance, how have theorists “worked around” the problem of substance? How does Burke define substance? What role does substance play in Burke’s theories? Is substance a central, if unacknowledged term, in contemporary theories of symbol-using? Readings will include excerpts from theoretical texts that use, eschew, or dismiss the term substance; Durham’s and others’ essays on Burke and substance, and Burkean texts that examine the concept. Given the complexity of the issues surrounding this central and disputed concept, the seminar will feature four co-leaders to ensure a variety of perspectives and a depth of insights into these issues. identification is affirmed with earnestness precisely because there is division. Identification is compensatory to division. If [people] were not apart from one another, there would be no need for the rhetorician to proclaim their unity. If [people] were wholly and truly of one substance, absolute communication would be of [humanity’s] very essence. (RM 22). We are divided, and so we desire consubstantiality. We are identified, and so we desire division. In acts of identification or division, we imagine ourselves to be alike or different. And thus identification in the imaginary is a rhetorical process as well as the act of decoding and encoding signs. Burke saw identification—and with it, the corresponding situation of division—as both the condition and aim of rhetoric. The desire for identification, which Burke calls consubstantiality, is premised on its absence, on the condition of our division from one another. There would be no need for the rhetorician to proclaim our unity, Burke says, if we were already identical. Consubstantiality, with its roots in the ambiguous substance (sub-stance), may be purely an expression of desire, an identity of attitude and act in a symbolic, visual, and (even) emotional realm, an assertion of or desire for identities and divisions in a limitless realm of ambiguity. This seminar will focus on the familiar and often competing concepts of identification and division in recent scholarship, as well as their implications for rhetorical theory, critical inquiry, and Burke’s own (non)system. What motives might we (or does Burke) associate with identification and division? To what extent does Burke idealize or privilege identification in his understanding of rhetoric? How might Burke’s conceptions of identification and division help us understand motives grounded in racial or gendered ethics? Recent extensions and critiques (some of which seminar participants will read in advance) have argued that Burke valorizes identification and in so doing has minimized or ignored other motives for rhetoric. What critiques have most effectively challenged Burke’s concepts of identification or division? What material bases for identification or division does Burke imagine? From the identity politics of Facebook and social media to the virtual and augmented realities of Google Glass, in what ways do emergent technologies and interfaces extend or limit identifications or expose or increase division? Seminar participants will be asked to submit a short position statement (250-500 words) addressing one of these questions, or one they want to bring to the attention of others. A short list of reading suggestions will be distributed by mid-June or earlier. The Eighth Triennial Conference of the Kenneth Burke Society welcomes proposals that focus on any Burkean subject. Especially welcome are proposals that address the conference theme, “Kenneth Burke, Rhetoric, and Social Change.” The conference will be hosted by Clemson University at its Madren Conference Center in Clemson, South Carolina, from May 26 to May 29, 2011. In addition to lively seminars, presentations, performances, and unending conversation in the parlor, KBS 2011 will also feature keynote speakers Jack Selzer and Scott McLemee. Click on the image to see the full-size Tagxedo, which uses the terms from Burke's passage about the "unending conversation of history" in The Philosophy of Literary Form for its inspiration (see p. 110-11). Surveying the global scene in 1933, Burke wrote in his notes for what would become Permanence and Change, “We are trying to solve cultural problems with the most explosive words in our vocabulary, and we need not be surprised that there are continually occurring frightful accidents which rip out half a continent and maim the lives and bodies of millions.” The step away from these explosive words is, Burke claimed, “the step which [humankind] has never been able to take. Heroism; Jungle authority; acquisition; pugnacity; inspiration; ‘superiority’ . . . this is still at the bottom of our thinking, though [the] situation no longer ‘requires’ it. . . . This is the crux—can we make this change, from which all else would radiate?” In our own historical moment, which so eerily echoes the cultural, political, and technological upheavals of the first half of the twentieth century, Burke’s question remains urgent—and unanswered. Can we make this change? What cultural problems need to be solved? What rhetorical practices cause, cloud, or intensify those problems? Where, when, and how does change occur? What genres of persuasion and identification encourage or enable change? What role do we as teachers, artists, scholars, critics, citizens play in creating change? Over the course of the conference, a combination of keynote speakers, featured presenters, and seminar leaders will explore the possibilities of and conditions for meaningful change. Keynote speakers, seminars, and seminar leaders will be announced in January, 2011. The proposal submission deadline has passed. Acceptances will be announced in early February 2011. After acceptance and to be eligible for awards and inclusion in a subsequent conference volume, proposers will be invited to submit full-length submissions by April 15, 2011. Attendees may register for the conference by mail starting February 11, 2011. You can learn more and download the forms here. As for past conferences, affordable registration fees will include all meals and special events. Travel grants and subsidies for students may be available and will be announced as the conference nears. Further details will be published on the conference website, http://kbjournal.org/2011conference from now until the conference. Clemson University is located in Clemson, which is in upstate South Carolina. The Madren Conference Center (http://www.clemson.edu/centers-institutes/madren/conference/) is surrounded by beautiful Lake Hartwell and the Walker golf course, with easy access from Greenville/Spartanburg, Atlanta, Asheville, and Charlotte. The climate in May is ideal for outdoor gatherings, golf, and water sports. The conference chair is David Blakesley (dblakes@clemson.edu). The conference is sponsored by the endowment for the Campbell Chair in Technical Communication at Clemson and the Kenneth Burke Society. If you have questions about the conference, please contact David Blakesley (dblakes@clemson.edu). Watch the conference website (http://kbjournal.org/2011conference) for additional announcements. "Motives of the Public Intellectual; or, Confessions of an Unlicensed Burkean." Scott McLemee writes the weekly column "Intellectual Affairs" for Inside Higher Ed. He was a contributing editor at Lingua Franca and he covered the humanities as a senior writer at The Chronicle of Higher Education. In 2004, he received the National Book Critics Circle award for excellence in reviewing, and began serving on that organization's board of directors in 2008. Besides editing two volumes of writings by C.L.R. James, he has contributed to numerous magazines and newspapers in the United States and abroad. He discovered Kenneth Burke in adolescence, which was not recently. Read A Puzzling Figure in Literary Criticism Is Suddenly Central at the Chronicle of Higher Education (login required). "Kenneth Burke, MLK, and Me: Taking a Comic Perspective on August 28, 1963"
Jack Selzer earned the Kenneth Burke Society Lifetime Achievement Award in 2005 for service to the organization, for mentoring colleagues and graduate students in their archival research on Burke, and for his publications Kenneth Burke in Greenwich Village (Wisconsin, 1997); Kenneth Burke in the 1930s (South Carolina, 2007, with Ann George); and Kenneth Burke and His Circles (Parlor, 2007, edited with Robert Wess). Currently past president of the Rhetoric Society of America, he has taught courses on rhetoric, composition, technical writing, and Kenneth Burke at Penn State since 1978. He is currently working with Keith Gilyard on a book on the rhetoric of the civil rights movement, and researching another book on Burke's later career. 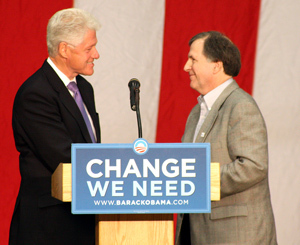 Jack Selzer (right) greets former President Bill Clinton at Penn State University. Photo Credit: Annemarie Mountz. Year Taken: 2008. View a high-resolution version. To register for KBS 2011 at Clemson, you will need to download and complete the registration form and mail your form and payment to the address shown on the form. We can only accept payment by check, made payable to Clemson University. Registration fees include a one-year membership in the Kenneth Burke Society. If you are already a member, one year will be added to your membership. Please check the appropriate space according to your status and according to the timing of your registration, then enter the total in the space provided. Registration includes meals, refreshment breaks, t-shirt, book discounts, and other swag throughout the conference. So that we can make sure to have all materials ready, be sure to mail registration forms before May 19, 2011. After that date, you can plan on registering on-site. Those who cancel before May 10, 2011 are eligible for a full refund. We can provide a 50% refund if cancelled on or before May 19, 2011. After that date, there are no refunds possible since all food and other arrangements have been confirmed. When you submit your registration, you'll be asked to select rank your top three seminars. Space will be limited, but we will try to honor everyone's first or second choice. Seminars run throughout the conference. There is no additional charge to attend a seminar. Please see the conference website for full details on each: http://www.kbjournal.org/seminars2011. For full details, please see the Travel and Accommodations KBS 2011 page, which contains information about how to make hotel reservations, how to get to Clemson, and more. Room rates at the conference hotel run $120 (up to four people). The conference will begin in the late afternoon on Thursday May, 26, 2011 at 5 pm with the first of four seminar meetings, followed by a welcome reception. The conference ends on Sunday, May 29, 2011 at 1 p.m. There will be panel sessions on Sunday morning. There will also be a golf outing or other fun events planned for those who want to stick around. The conference runs from late afternoon on Thursday, May 26, through Sunday mid-day on May 29, 2011. 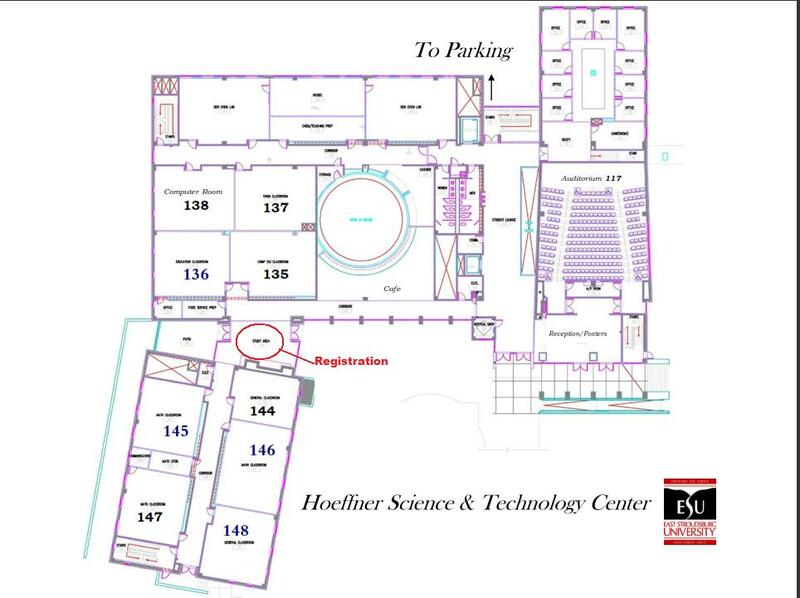 All events will be held at the Madren Conference Center, which is connected to the Martin Inn. To view a full draft of the program, login and then the PDF attachment will appear at the bottom of this message. Post-Conference Pool Party, hosted by Parlor Press at 3015 Brackenberry Drive, Anderson SC 29621 (20 minutes east of Clemson; directions to be provided). Clemson University is located in Clemson, which is in upstate South Carolina. 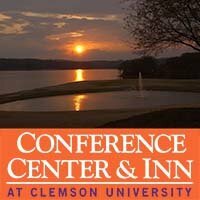 The Madren Conference Center and Inn (http://www.clemson.edu/centers-institutes/madren/conference/) is surrounded by beautiful Lake Hartwell and the Walker golf course, with easy access from Greenville/Spartanburg, Atlanta, Asheville, and Charlotte. The climate in May is ideal for outdoor gatherings, golf, and water sports. You can also learn more about the Madren Conference Center and Inn on Facebook. 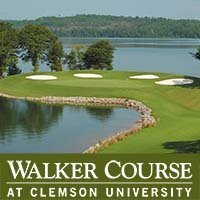 If you would like to play some golf on the last afternoon of the conference, please email David Blakesley (dblakes@clemson.edu) to join the group. The Walker Golf Course is on Facebook as well. The Greenville/Spartanburg airport (GSP) is the closest to Clemson, about 40 minutes by airport shuttle or car. Atlanta, Asheville, and Charlotte are about two hours away by car. Local shuttles service all airports. Amtrak has a stop in Clemson on the Crescent line. Shuttle and other information about travel arrangements will be announced in January, 2011. Shuttle arrangements can be made through a number of private shuttle services. We recommend Anderson Clemson Shuttle Services: http://clemsonshuttle.com/. The cost for roundtrip service from GSP to Clemson is about $90. As possible, we'll also announce ride-sharing and other airport transportation options. We have reserved a block of rooms at the Madren Conference Center and Inn (the conference headquarters), which offers multiple room types, all of which are spacious and nicely appointed: Double Queen/King ($120) and Suites ($120). Suites include a kitchen, living room, and separate bedroom and two beds plus a sofa bed. All rooms have views of the golf course, gardens, or Lake Hartwell. There is a restaurant and bar on site, and a free local bus service is just a short walk away. Room reservations may be made by phone at 888-654-9020 (toll free) or 864-654-9020 (local). Be sure to specify “Kenneth Burke Society” or GF (Group Folio) # 8067 when making your reservation. Rooms should be reserved as soon as possible and before March 26, 2011 to ensure the conference rate. There are other hotels in the area, but there won't be a shuttle service and they are 1-2 miles away. The tradition of outstanding seminars at past conferences continues in 2011. We have six distinguished scholars leading five seminars, each of which radiates from the conference theme, "Burke, Rhetoric, and Social Change." Seminars will meet all four days of the conference in a small group setting for discussion, debate, and competitive cooperation (friendly as it may be). The leaders describe their seminars below and include a list of work to read prior to the conference. Seminar participants are often asked to prepare inforrmal response papers of some sort. Seminar leaders will make contact with seminar participants in advance of the conference with updates as needed. Conference registrants should select a seminar when they submit their 2011 KBS Registration Form. We'll make every attempt to give each person the first or second choice (you'll be asked to rank your top three). Space in some seminars will fill up quickly, so be sure to register early. These descriptions may be updated before the conference, so be sure to check back before sending in your registration. This seminar will explore intersections between Burke’s work and law, with particular attention to the Clarke Rountree’s application of the pentad to the analysis of judicial discourse. Seminar participants will read the essays below. Additionally, the group will read the U.S. Supreme Court case Kelo v. City of New London (the controversial case approving Connecticut’s use of imminent domain) as a case study in legal rhetoric. Prior to the conference, small group members will submit a f5-8 page exploratory essay considering how Burke’s ideas might help us understand law, justice, or judicial processes. The focus should be narrow, considering the role of identification, form, terms for order, terministic screens, perspective by incongruity, bureaucratization of the imaginative, the master tropes, the five dogs, administrative rhetoric, substance, dialectic, the constitution-behind-the-constitution, or other Burkeian concepts relevant to legal discourse or talk about the law. Essays may consider explicit statements Burke has made about law or apply one of his concepts to general legal processes, to a particular example of those processes, or to talk about law and justice. Rountree, Clarke. “Instantiating 'The Law' and Its Dissents in Korematsu v. United States: A Dramatistic Analysis of Judicial Discourse.” The Quarterly Journal of Speech 87 (February 2001): 1-24. Rountree, Clarke. “Chapter 1: Judicial Motives in American Jurisprudence.” In Judging the Supreme Court: Constructions of Motives in Bush v. Gore. East Lansing, MI: Michigan State University Press, 2007. Rountree, Clarke. “Setting the Stage for Brown v. Board of Education: The NAACP’s Litigation Campaign Against the ‘Separate But Equal’ Doctrine.” In Brown v. Board of Education at 50: A Rhetorical Perspective. Edited by Clarke Rountree. Lanham, MD: Lexington Books, 2004. Kelo v. City of New London, 545 U.S. 469 (2005). 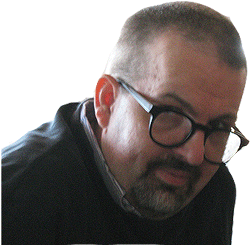 Clarke Rountree is Professor of Communication Arts at the University of Alabama, Huntsville. Rountree was awarded the prestigious 2008- 2009 Kohrs-Campbell Prize in Rhetorical Criticism by Michigan State University Press for his book, Judging the Supreme Court: Constructions of Motive in Bush v. Gore. He is presently the Vice President of the Kenneth Burke Society. In many respects, this seminar topic would seem to figure a connection at best unlikely, and at worst antagonistic. Burke might seem an unlikely figure to link with race--simply because his origins (geographic, generational, and racial) contrast sharply with the concerns of those who advocate or construct critical race theory. More to the point, Burke was not then, and is not now, known for his writings on issues of race. Not only are Burke's own writings relatively quiet on matters of race (with some notable exceptions), but the same is true of the secondary literature. To be sure, some scholars have done work connecting Burke's work to issues of race, identity, and racism (e.g., Bobbitt, Rhetoric of Redemption; Carlson, "'You Know It When You See It'"; Crable, "Race and A Rhetoric of Motives"; Crable, "Symbolizing Motion"; Klumpp, "Burkean Social Hierarchy"; Lynch, "Race and Radical Renamings"). In many respects, however, Burkean scholarship focuses much more strongly on issues of class than of race (or of gender). This seminar will hope to change that somewhat, by focusing attention on several key works by Burke that deal with matters of race, and from throughout his career, including the "Rhetoric of Hitler's 'Battle,'" an early review from The Philosophy of Literary Form, the controversial citation of Ralph Ellison in A Rhetoric of Motives, and a late essay on Ellison's Invisible Man. Further, by reading these works alongside essays by Ellison and Donald Pease, seminar participants will be in a position to contribute new, Burke-fueled statements on our nation's ongoing "conversation" on race and identity. Bobbitt, David A. The Rhetoric of Redemption: Kenneth Burke's Redemption Drama and Martin Luther King, Jr.'s "I Have a Dream" Speech. Lanham, MD: Rowman and Littlefield, 2007. Carlson, A. Cheree. "You Know It When You See It: The Rhetorical Hierarchy of Race and Gender in Rhinelander v. Rhinelander." Quarterly Journal of Speech 85 (1999): 111-128. Crable, Bryan. "Race and A Rhetoric of Motives: Kenneth Burke's Dialogue with Ralph Ellison." Rhetoric Society Quarterly 33.3 (Summer 2003): 5-25. Crable, Bryan. "Symbolizing Motion: Burke's Dialectic and Rhetoric of the Body." Rhetoric Review 22.2 (2003): 121-137. Klumpp, James F. "Burkean Social Hierarchy and the Ironic Investment of Martin Luther King." Kenneth Burke and the Twenty-First Century. Ed. Bernard L. Brock. Albany: SUNY Press, 1999. 207-41. "The Rhetoric of Hitler's 'Battle.'" The Philosophy of Literary Form. 1941. Berkeley: U of California P, 1973. Bryan Crable is the Chair of the Communication Department at Villanova University. He is also the Founding Director of the Waterhouse Family Institute for the Study of Communication and Society. He received the Charles Kneupper Award from the Rhetoric Society of America, for best article of 2003 in Rhetoric Society Quarterly: "Race and A Rhetoric of Motives: Kenneth Burke's Dialogue with Ralph Ellison." In 2008, he chaired the 7th Triennial Conference of the Kenneth Burke Society. Crable is finishing a book on Kenneth Burke, Ralph Ellison and the American "racial divide," scheduled to be published by The University of Virginia Press in 2012. He is also completing an edited volume on Kenneth Burke and the transcendence of social conflict, to be published by Parlor Press in 2012. Whatever our particular interest in the work of Kenneth Burke, to the extent that we engage his ideas, we become both student and teacher of those ideas. Taking Burke seriously calls for an examination not only of the substance of his corpus, but also of the implications of that substance for how we function as educators. The theme of the 2011 conference, “Kenneth Burke, Rhetoric, and Social Change,” speaks directly to the nature and role of education. While he did not write extensively about education, per se, Burke left a corpus filled with implications for education as well as a major resource in his remarkable 1955 essay, “Linguistic Approach to Problems of Education.” Concerned though he was about the lack of pedagogical imagination in his time, Burke himself could not have fully anticipated the level of polarization and bureaucratization in today’s colleges and universities, let alone the atomizing effects of web-based news cycles and social media. However, his work remains invaluable in raising questions, identifying concerns, and proposing changes aimed at transcending our own “explosive words” and disarming anger and hate with civil discourse. What did Burke advocate directly regarding education and civil discourse, and what attitudes toward education can one glean from the rest of his corpus? What role should we, as educators, play in creating social change? What would a Burkeian educational approach for course design and classroom pedagogy look like? What insights does Burke offer regarding the challenges of educating today’s students? Participants are also encouraged to identify their current educational concerns. Ample time will be given to examining what it means to take Burke seriously, as educators, and to consider implications for the ways we teach and students learn. “Literature as Equipment for Living” (in Burke’s 1941/1973 book, The Philosophy of Literary Form, pp. 293-304). Enoch, J. (2004). Becoming symbol-wise: Kenneth Burke’s pedagogy of critical reflection. College Composition and Communication, 56(2), 272-96. * Electronic version to be made available. Elvera B. Berry (Ph.D.) is Professor of Communication and Director of the Honors Program at Roberts Wesleyan College, and 2010 recipient of the inaugural Spiritan Award for Teaching bestowed by Duguesne University’s Department of Communication and Rhetorical Studies. A long-term member the Kenneth Burke Society involved in regional and national organizations, she has been studying, teaching, and applying the works of Kenneth Burke for 25 years. Her essay, "The Both-And of Undergraduate Education: Burke's 'Linguistic' Approach" appears in the 2010 collection Humanistic Critique of Education: Teaching and Learning as Symbolic Action. Peter M. Smudde (Ph.D., Wayne State University) is assistant professor in the School of Communication at Illinois State University. He came to academe full-time in 2002 after sixteen years in industry in the fields of public relations, marketing communications, and technical writing. His primary research and teaching interest is the application of Kenneth Burke's ideas and contemporary theories of rhetoric to pedagogy and industry. He is also the editor of Humanistic Critique of Education: Teaching and Learning as Symbolic Action (Parlor Press, 2010). Kenneth Burke’s “The Rhetoric of Hitler’s 'Battle',” ostensibly a book review, was a rhetorically perspicacious if not prophetic analysis of what was yet to transpire. Though the layers of biography, bigotry, tirades, hatreds, and political strategies that permeate Mein Kampf turned others away in disgust and disbelief, Burke foresaw the general outline of events, read in relation to capitalism, religion, and anti-Semitism, just beginning to unfold. Burke did not have the last word on the interpretation of Mein Kampf; others have examined it since. But despite Burke’s warning that “we need to discover what kind of ‘medicine’ this medicine-man concocted, that we may know exactly what to guard against if we are to forestall the concocting of similar medicine in America,” for obvious and subtle reasons, rhetorical scholars, with a few exceptions, have tended to shy away from engaging Hitler’s manifesto, or its wider implications about genocide and rhetoric, in any hermeneutic depth. This seminar will not be so shy. What can Burke’s analysis of Mein Kampf teach us today? Or, conversely, what does Mein Kampf and the horrors of history that followed teach us about Kenneth Burke’s rhetoric? After a general introduction of these two primary sources, and discussion of some pieces of scholarship about or that employ Burke’s insights, concepts, or methods of reading, in this seminar participants will share and discuss their five-page exploratory papers focusing on a Burkean method applied to a section or part of Mein Kampf, and/or similar and perhaps rhetorically untreated holocausts in subsequent history. The concept or methods applied could include Burke’s notions of identification, consubtantiality, or substance; form, casuistry, and/or entelechy; tropes, terministic screens, pentadic ratios, etc. Papers should be as specific as possible. Burke, Kenneth. “The Rhetoric of Hitler’s ‘Battle’.” The Philosophy of Literary Form: Studies in Symbolic Action. 3rd ed. Berkeley: U of California P, 1973. 191-220. Hitler, Adolf. Mein Kampf (any unexpurgated edition. I have the 1939 edition, published by arrangement with Houghton Mifflin). You might want to pay particular attention to Volume 1,“Chapter VI: War Propaganda” and in Volume 2, “Chapter VI: The Struggle of the Early Days—The Significance of the Spoken Word,” or “Chapter XI: Propaganda and Organization,” as I do in some of my work (see below), but any part or topic of Hitler’s manifesto, which are highly discernible in the Table of Contents, is ripe for the talking. Steve Katz is the Pearce Professor of Professional Communication at Clemson University. He received his Ph.D. in Communication and Rhetoric from Rensselaer Polytechnic Institute in 1988. His most recent book is the 3rd edition of Writing in the Sciences: Exploring Conventions of Scientific Discourse, co-authored with Ann Penrose and published in 2010 by Allyn & Bacon/Longman. In 1993, Dr. Katz won a National Council of Teachers of English Award for his article on "The Ethic of Expediency." His book Plato's Nightmare is due out from Parlor Press in 2011. Archival research is changing the face of Burke studies. In the past decade, a host of essays and books have demonstrated how the archives ask us to reexamine what we “know” about Burke by reexamining how we’ve come to this knowledge. Archives, that is, changewhat we study (his rhetorical strategies as well as his theory, how he wrote as well as what he wrote) and how we study, enabling us to employ Burke’s methodologies—to read dramatistically, to “use everything.” And, then, archives help us begin to define what “everything” means in each case.This seminar will enable participants to explore, practically and theoretically, the potential for and the limitations of creating new understandings of Burke via his archives. Anderson, Dana, and Jessica Enoch. “Introduction.” Burke in the Archives: Using the Past to Transform the Future of Burkean Studies. Ed. Dana Anderson and Jessica Enoch. Under review at U of South Carolina P.
Crable, Bryan. “Distance as Ultimate Motive: A Dialectical Interpretation of A Rhetoric of Motives.” RSQ 39.3 (2009): 213-39. George, Ann. “Kenneth Burke’s ‘On Must’ and ‘Take Care’ ”: An Edition of His Reply to Parkes’s Review of Attitudes Toward History.” RSQ 29.4 (1999): 21-39. ---. “Finding the Time for Burke.” Burke in the Archives: Using the Past to Transform the Future of Burkean Studies. Ed. Dana Anderson and Jessica Enoch. Under review at U of South Carolina P.
“Interview: Jessica Enoch—Striking Metaphors.” Working in the Archives: Practical Research Methods for Research and Composition. Ed. Alexis E. Ramsey, Wendy B. Sharer, Barbara L’Eplattenier, and Lisa S. Mastrangelo. Carbondale: Southern Illinois UP, 2010. 152-53. Morris, Sammie L., and Shirley K Rose. “Invisible Hands: Recognizing Archivists’ Work To Make Records Accessible.” Working in the Archives: Practical Research Methods for Research and Composition. Ed. Alexis E. Ramsey, Wendy B. Sharer, Barbara L’Eplattenier, and Lisa S. Mastrangelo. Carbondale: Southern Illinois UP, 2010. 51-78. Robert J. Connors, “Dreams and Play: Historical Method and Methodology.” Methods and Methodology in Composition Research. Ed. Gesa Kirsch and Patricia A. Sullivan. Carbondale: Southern Illinois UP, 1992. 15-36. Tell, David. “Burke’s Encounter with Ransom: Rhetoric and Epistemology in ‘Four Master Tropes.’ ” RSQ 34.4 (2004): 33-54. Wible, Scott. “Professor Burke’s ‘Bennington Project.’” RSQ 38.3 (2008): 259-82. Ann George is Associate Professor of English at Texas Christian University. Currently President of KBS, she is co-author, with Jack Selzer, of Kenneth Burke in the 1930s and is working on a critical edition of Permanence and Change. We're pleased to publish the program for the 8th Triennial Conference of the Kenneth Burke Society. Printed versions of the program will be available at the conference. Any errata should be emailed to the conference chair at dblakes@clemson.edu (David Blakesley). The Seventh Triennial Conference of the Kenneth Burke Society welcomes proposals for papers and panels on any Burkean subject. Especially welcome are proposals that address the conference theme: “Kenneth Burke: Transcendence by Perspective.” The conference will take place from June 29-July 1, 2008, at Villanova University, just outside Philadelphia, Pennsylvania. Deadline for submissions is February 1, 2008. View the conference flyer. One of the hallmarks of Kenneth Burke’s work is a deep-rooted suspicion of entrenched antagonism, of the bitterly contested either/or. Confronting a Western tradition mired in dualisms, and a social world fractured along binaristic lines, Burke traced these all-too-common symptoms to their source in the human symbolic condition and, not content simply with this diagnosis, he also sought a cure: the disciplined cultivation of transcendence via “ultimate” terms (A Rhetoric of Motives 186-89). As Burke writes in Attitudes Toward History, “When approached from a certain point of view, A and B are ‘opposites.’ We mean by ‘transcendence’ the adoption of another point of view from which they cease to be opposites” (336). Although inspired in part by his reading of Plato, Burke’s vision of transcendence avoids the pitfalls of the transcendental, but instead is grounded solidly in the necessity of our embodied symbolicity. In Burke’s skilled hands, transcendence becomes not the elimination of perspective, of partisanship, but the embrace of transcendence by perspective—because only by rigorously acknowledging the symbolic nature of perspective can we move beyond the stagnant stalemate of reified social, political, and philosophical binaries. This theme calls on conference participants to explore the relevance of Burkean thought for the transcendence of conflicts, whether enduring (as in the American “racial divide”) or ephemeral (as in the humanitarian crises of today). Over the course of the convention, a combination of keynote speakers, featured presenters, and seminar leaders will engage in their various incarnations the pressures of symbolicity, the multiple dimensions of perspective, and the possibilities of transcendence. Featuring diverse opportunities for engagement with Burke’s enduring relevance, the seventh triennial expects to continue the interdisciplinary tradition of past triennials, with participation by scholars from communication, rhetoric, literary theory, sociology, American studies, critical/cultural studies, and theology (among other fields).Most triennials have produced books of conference proceedings and all have promoted work by their participants leading to important articles and books on Burkean subjects. A number of prominent Burke scholars will participate in the conference as speakers and seminar leaders. Detailed information about their work is available at the conference website. The keynoters will be Joseph R. Gusfield and John S. Wright. Featured speakers will include A. Cheree Carlson, Michael Hyde, and Robert Perinbanayagam. Seminar leaders with their topics include Ann George (Burke in the 1930s), Scott Newstok (Burke and Shakespeare), Mari Boor Tonn (Burke and Feminism), and Robert Wess (Transcendence by Perspective). Visit the conference website (http://communication.villanova.edu/burke/index.htm) for information about nominations for Kenneth Burke Society awards for Lifetime Achievement, Distinguished Service, and Emerging Scholar. It's expected that this conference, like previous ones, will feature an enjoyable evening with the Burke family, including a reading by Julie Whitaker from her recent collection of Burke's later poetry (Late Poems, 1968-1993, co-edited with David Blakesley). Finally, a special feature of this conference will be an event celebrating the lives and works of three much-missed members of the Kenneth Burke Society: Bernard Brock, Leland Griffin, and William Rueckert. While always encouraging submissions focused around the conference theme, we also welcome work by faculty as well as students on any subject related to Burkean scholarship. Please identify student proposals as such, indicating school, area of major study, level (graduate or undergraduate). Proposal should be 250-350 words in length (for panels, include 250-350 words for each paper). Submit proposal electronically, as either PDF or MS Word document, to george.boone@villanova.edu, with the words “Submission to Burke Conference” on the subject line of the e-mail. Deadline for proposals: February 1, 2008. Selections for the conference will be announced April 1, 2008. The length of completed papers should be appropriate for a 15-20 minute presentation. Completed papers submitted by May 1, 2008 will be eligible for awards, one for the best conference paper, the other for the best graduate student paper. In addition, up to two meritorious undergraduate papers will receive conference grants (travel, housing, conference registration) from Graduate Programs in Communication at Villanova. All events and programs for the convention will be held at the Villanova University Conference Center, located just off of its main campus. The combination historic mansion and contemporary conference facility will allow participants to enjoy a peaceful, bucolic setting, without having to stray far from the day’s meeting and banquet rooms. Conference participants will have three options for housing: the Conference Center itself, the nearby Radnor Hotel, or air-conditioned campus apartments—this last option especially helpful for budget-conscious Burkeans. Details on housing prices and reservations will be posted by January, 2008. Please note: transportation will be provided at no additional cost for all those staying at the Radnor Hotel and campus apartments. For additional information on paper submission, registration, housing, and other matters, consult the conference website (http://communication.villanova.edu/burke/index.htm) or direct questions to George Boone, Assistant to the Conference Planner (george.boone@villanova.edu), or to Bryan Crable, Conference Planner (bryan.crable@villanova.edu). US Mail should be directed to Communication Department, Villanova University, 800 Lancaster Ave., Villanova, PA 19085-1699, USA. Members of the Kenneth Burke Society can use the information below to purchase important books by and about Burke at a significant discount. These days, it's important to support the publishers of "Boik Woiks" (as KB would put it) so that we continue to benefit from their efforts to provide an important venue for our scholarship. The Kenneth Burke Society appreciates their generosity. Parlor Press offers a 20 percent discount on all books by and about Kenneth Burke, including Essays Toward a Symbolic of Motives, 1950 to 1955, Kenneth Burke on Shakespeare, Letters from Kenneth Burke to William H. Rueckert, 1959-1987, Poetic Healing (Huglen and Clark), a Parlor Press t-shirt with a caricature of Burke (available June 1, 2007), and forthcoming Burke books, such as Literature as Equipment for Living and Kenneth Burke and His Circles . You need to use this form (PDF format) to order your books or other paraphernalia. You may also call Parlor Press with your order at 765.409.2649. Archival issues of the Kenneth Burke Society Newsletter are available to active Society members in PDF format. The list below includes the issue date, volume, number, and front page headline. This archive was prepared by Heather Christiansen, Clemson University. Here's what people are saying about Kenneth Burke in the Twittersphere . . .
. . . The triennial meeting of the Kenneth Burke Society, held at Clemson University over the Memorial Day weekend, drew a diverse crowd, numbering just over one hundred people -- with at least a third, by my estimate, being graduate students or junior faculty. The Burkological elders told tales of the days when incorporating more than a couple of citations from “KB” in a dissertation would get you scolded by an adviser. Clearly things have changed in the meantime. Tables near registration were crowded with secondary literature from the past decade or so, as well as a couple of posthumous collections of KB's work. The program featured papers on the implications of his ideas for composition textbooks, disability studies, jazz, environmental activism, and the headscarf controversy. For accommodations options, click HERE. For travel information including local airports, airport shuttle, and car rentals, click HERE. You can also help support student travel to the conference. The Tenth Triennial Conference of the Kenneth Burke Society welcomes proposals that focus on conflicts in and among various communities as well as various communities’ unique modes—or agencies—of waging, navigating and/or resolving conflict. As with prior KBS conferences, we also welcome all proposals from all disciplines—and from all students and scholars of Kenneth Burke’s work. We welcome proposals that address any aspect of Burke’s life or work. Conflicts. From its Latin roots, the word conflict literally means “together-fight.” Kenneth Burke strongly believed that humanity’s underlying penchant for conflict could be harnessed away from physically harmful actions and refocused toward symbolic/discursive behaviors. Worlds. Today we, too, find ourselves in a fractured world profoundly fraught with—and largely defined by—conflicting worldviews. Whatever our divisions, we symbol-using organisms remain inexorably united in that we are all-together the world-stuff that replicates the world in symbols. In this respect, symbolic divisions—that is, conflicts in human communities—are remarkable achievements if only because humans must begin with some accord concerning the symbols they use among themselves before they can use those symbols to engage in discord. More specifically, the Kenneth Burke Society welcomes submissions that consider and critique the perspectives and tools Kenneth Burke employed toward understanding, interrogating, and negotiating conflicts, communities, and worlds. How can Burkeian ideas help people learn to negotiate the dialectic of identity and difference? How can a theory of identification allow for necessary diversity? How might Burke’s work anticipate or fail to account for emerging new publics? What implications does Burke pose for 21st-century pluralistic education at all levels? In what ways could Burkeian thought navigate secularism, religious civil rights, and state religions? What does Burke studies mean amid the continual negotiations of race, racism, racial identity, and race politics? What implications does Burke’s notion of “entitlement” pose for natural-born, immigrant, and/or undocumented residents of any country? How could Burke’s theories of the body and non-symbolic motion bridge any apparent divides among cisgender, LGBTQ, heteronormative, homonormative, pan-sexual, non-binary, and/or intersex identities? How does Burke’s thought inform our understanding of the ever-growing number of technologically mediated global villages—e.g. global fan cultures; ethno-cultural, religious, and/or racial diasporas; hacktivists/hive-minds; and more? How does Burke help or hinder our understanding of the ways communities are negotiated and renegotiated in a postcolonial and increasingly postnational world? What does it mean to “purify war” in the face of psychological warfare, economic warfare, cyberwarfare, false-flag military operations, international “black-ops” and drone warfare, and/or international terrorism? How does Burke’s spectrum of non-symbolic motion and symbolic action inform or challenge notions of ambient rhetoric, ontology, epistemology, and other philosophical implications of human communication? Over the course of the conference, a combination of keynote speakers, featured presenters, and seminar leaders will explore these topics and more. Keynote speakers will be announced in February 2017. Seminars, seminar leaders, and featured speakers will be announced in March 2017. We invite individual presentations, panels, and seminar topics exploring any of the above sets of concerns. Proposals should be submitted by CLICKING HERE. The submission window runs from November 1, 2016 through February 15, 2017. All proposals are due by 11:59 p.m. on February 15, 2017. Proposals for individual presentations should be 250-350 words in length. Proposals for panels or other formats may be up to 500 words in length. Acceptances will be announced by March 7, 2017. Attendees may register for the conference online starting March 25, 2017. As with past conferences, registration fees will include all meals and special events. Further details will be published on the conference website from now until the conference. East Stroudsburg University of Pennsylvania is located a little over 30 miles west of Kenneth Burke’s farm in Andover, New Jersey, and about 70 miles west of Newark Liberty International Airport. 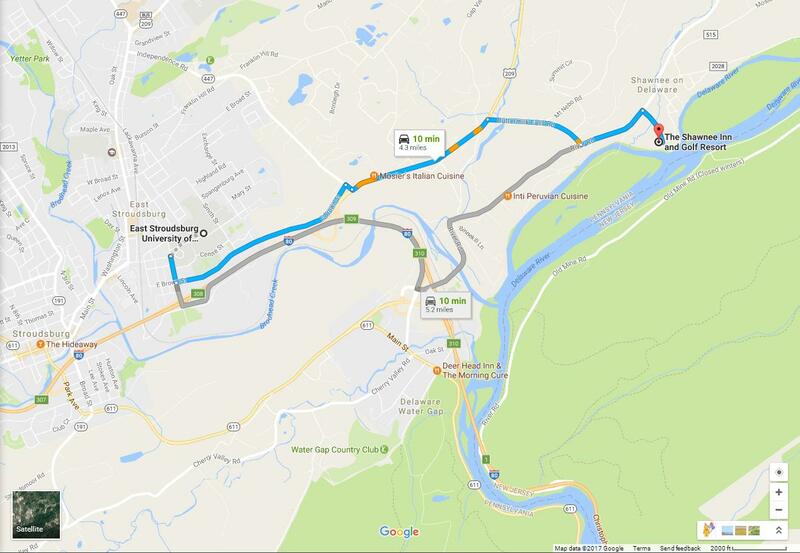 East Stroudsburg is nestled between the Pocono Mountains and the Delaware Gap National Recreation Area. A list of lodging and dining options in and around campus will be published on the conference website soon. There are multiple ways to get from the airport to the conference site. More specific travel options will be published on the conference website soon. I have attempted to capture the dialectic tensions driving the conference theme, Burkean studies, and our current situations: both academic and pragmatic, both at odds and connecting, both overlapping and clashing, both cutting across the bias and still being somewhat cohesive, both different and alike, etc. To that end, I have chosen a somewhat messy, handwritten typeface (we need equipment for living our messy lives and dealing with our messy situations!) and paired it with a very classic serif print typeface (we are academics, driven by a sense of order!). I have chosen two shades of blue to indicate that we have differences but are still bound by community and commonality. I used overlapping people to show diversity, conversation, and the tension of conflict and the uncomfortableness of overlap, but made everyone a shade of blue, again to visually tie everyone together as different, yet essentially similar. I used classic blue pinstripes to evoke the formality of suits, the homeyness of 50s wallpaper, and the ubiquitous ruled school paper, then I turned it sideways and cut across it with the text, working against rigid classifications and scientistic systems. I gave the type some alignment, but also let it wander around a bit, taking a tiny journey on the page and inviting us to journey for a moment with it. The Lifetime Achievement Award recognizes extraordinary achievement in Burke studies. Lifetime Achievement nominees must have been members for at least fifteen years or, in cases where membership records are unclear, must have attended the triennial conference five times and/or served the Society as an officer, conference planner, etc. Previous recipients are Leland Griffin (1990); William Rueckert (1993); Bernard Brock (1993); James Chesebro (1999); Tim Crusius (2002); Jack Selzer (2005); Wayne Booth, Michael Burke, Julie Whitaker (2008); Bryan Crable (2011); James Klumpp (2014), Robert Wess (2017). The Distinguished Service Award recognizes extraordinary service to the Society. Distinguished Service nominees must have been members for at least fifteen years or, in cases where membership records are unclear, must have attended the triennial conference five times and/or served the Society as an officer, conference planner, etc. Previous recipients include Sheron Dailey (1990), James Chesebro (1993), Dale Bertelson (1996), Robert Wess (1999), Clarke Rountree (2002), David Blakesley (2005), Mark Huglen (2008), Ann George (2011), Elvera Berry (2014), Ed Appel, Richard Thames, and Herbert Simons (2017). The Emerging Scholar Award recognizes the promise of a Burke scholar who has published in the field of Burke students as a graduate student or assistant professor (or, for independent scholars or non tenure-track faculty, within his/her first 6-9 years of work). The Emerging Scholar nominee may be a new Society member. Previous recipients include Debra Hawhee (2002), Ryan Weber and Nathaniel Rivers (2005), Elizabeth Weiser (2008), Kyle Jensen (2011), Kris Rutten (2014), Jouni Tilli (2017). President, Ann George, chaired the KBS business meeting. The 2008 (Villanova) minutes were approved as distributed. Treasurer: Virginia Anderson has been organizing and updating membership records in order to avoid confusion and non-canceled checks. Current records indicate: 76 paid members + several non-paid participants. Dave will be submitting a formal report with expenses, etc. He indicated there were 106 registrations (half students). He will be sending a call to participants for papers to be considered for a Conference book (South Carolina Press). Special appreciation was expressed to Dave for a successful Triennial, including significant participation from young Burke scholars! Clarke indicated that Andy King had expressed some interest in producing a summer edition of the KB Journal. If so, great! Andy’s journal-successor has not yet been named. Many signed a card of Missing and Best Wishes that Elvera sent to Andy. How can we encourage and sustain membership? What do members “get” for their money? Would such restriction violate spirit of access and openness? Could members receive significant discounts on books? Receiving such an email (e.g., twice-a-year) might include a short column from the Executive Committee and alert membership to new KB works being published; reviews of publications; national and regional conferences with a Burke-presence (Communication, English, Rhetorical Studies, Writing, etc. ); and the like. The Burke list resides with David at Clemson; he offered to provide a template for a periodic form of correspondence that might make this feasible. Question: How will we follow up on these ideas? Advantages/disadvantages of several geographic locations were discussed. Discussion of university conference-sites with institutional host-coordinators vs. free-standing conference sites seemed to favor an institutional base. The preference would be to distribute the workload by separating the functions of host and program planner. Recent sites for possible return included: Penn State, Pittsburgh, Villanova. The decision was to put out a formal request for possible hosts/sites. Discussion took place regarding whether the editor of the KB Journal should be a full member of the Executive Committee. The decision was to have an Executive Committee composed of President, Vice-President, Secretary, Treasurer, and immediate Past President. The editor will serve as ex-officio member of the Executive Committee. For the Record: Scott McLemee was plenary luncheon speaker (article appeared June 2, 2011), and Jack Selzer entertained with Donald Duck (Friday) and Fishing Stories (Banquet). Any other awards? Have I made any errors in names? Who pays/does not pay dues? What difference do dues make in terms of participating in the Triennial? What information (e.g., treasurer’s report) should be public? What information should be for Executive Committee? What data should be transferred to a central location to be kept by whom? identification of role(s) of “Editor of Publications” vis-à-vis journal and other website material, etc. role of journal personnel vis-à-vis Executive Committee (cf., Business meeting discussion of bylaws). Dues: – KBS membership will be renewed at the same time every 3 years—namely, during the Triennial Conference. Current members out of synch because their membership falls short of 2014, will be given a free membership to that date (including those who renew for "One Year" on the KB Journal website). Those who run over three years will be given a discount on the Conference in 2014. New dues have been increased to $30/year for one year (which will no longer be an option as of 2013). Three-year dues will go to $75. Lifetime members will now pay $250. Post-Executive Meeting: Student dues will remain at $10/year until 2013; three-year dues will be $75 at the 2014 Triennial Conference. Clarke will send out a call for conference hosts and planners (two separate duties by two different people) later this summer. Ideally, we will have someone whose institution can support the conference. NOTE: President Clarke’s 81 totally dominated the post-Conference golf outing!